Thank you for joining us for D23 Expo 2017! 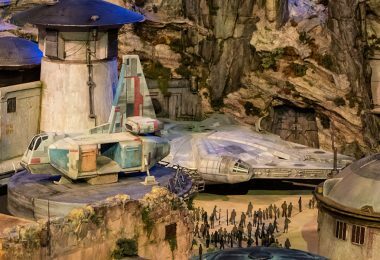 Whether you were in Anaheim or D23.com was your primary expo-sure (we had to), read on to find out the updates, magical moments, and unexpected surprises from the ultimate Disney fan event. Click here to see the updates from Friday. Click here to see updates from Saturday. There was plenty of star power in the D23 Expo Arena this afternoon when TV icon—and serious Disney fan!—John Stamos led a fascinating discussion with Disney Legends Tony Baxter, and Marty Sklar. 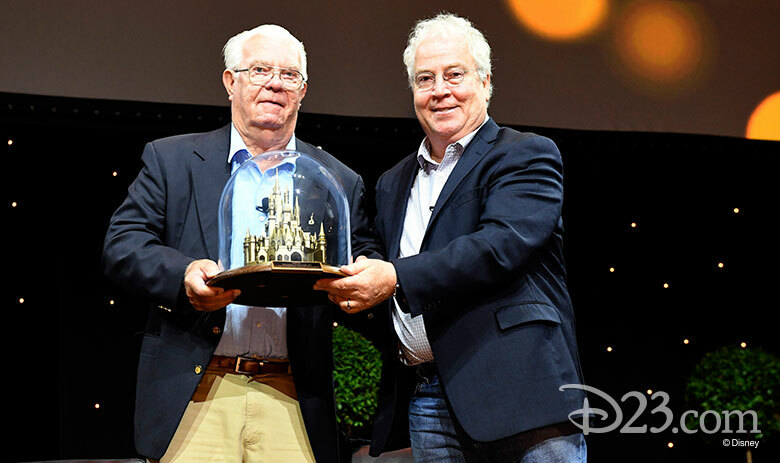 In a wide-ranging conversation, these two legends of Imagineering revealed inside stories about the artists, designers, and technical wizards who helped bring magically to life unforgettable Disney Parks and Resorts experiences around the world. Walt Disney Imagineering President Bob Weis then came on stage and congratulated Jackson for his legendary career. “You did amazing work when you didn’t have CAD, 3-D printing, or even a Xerox copier!” he said. He then presented him with a special gift—a replica of Tokyo Disneyland’s Cinderella Castle—an honorary gift from Walt Disney Imagineering and the Oriental Land Company. Before Mickey Mouse, there was Oswald the Lucky Rabbit, The Walt Disney Studios’ first successful animated character, so it seemed only fitting to save him for the final Stage 28 panel of D23 Expo 2017. As many a Disney fan knows, the story of Oswald is the story of the creation of The Walt Disney Company. When Walt “lost” the rights to Oswald back in the 1920s, it prompted him to dream up Mickey Mouse on a napkin on the train ride back home, and the rest—as they say—is history. This year marks 90 years of Oswald, who is now back inside the Disney family, and author David Bossert celebrates this occasion with his brand-new book Oswald the Lucky Rabbit: The Search for the Lost Disney Cartoons. It’s an in-depth look at Oswald’s history and the search for his “lost films.” The book includes the story of the rejection of the first Oswald cartoon, Poor Papa, and the success of Oswald’s second film, Trolley Trouble, which Bossert showed during the panel. He also showed Africa Before Dark. 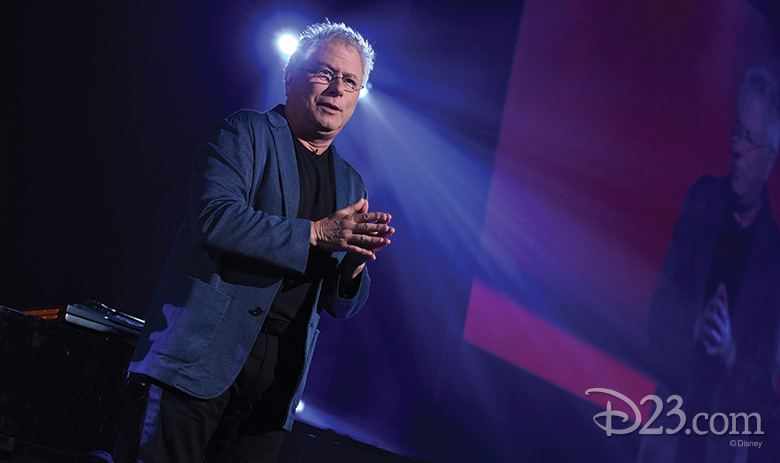 Disney Legend Alan Menken’s special one-man show, A Whole New World of Alan Menken, made Disney fans’ hearts sing this afternoon in Hall D23 at D23 Expo 2017. For 90 magical, musical minutes, he performed iconic songs including “Friend Like Me” from Aladdin, “Santa Fe” from Newsies, and “Go the Distance” from Hercules, while sharing stories behind his music and his incomparable career. Find out more about this unforgettable event here. Hosted by directors Ron Clements and Jon Musker, this panel celebrated 20 years of the animated classic Hercules, featuring appearances by animators Erica Goldberg and Ken Duncan. 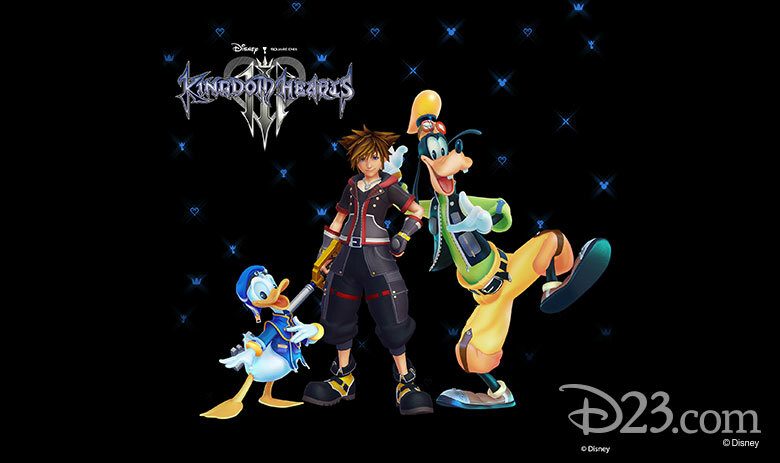 Both shared their concept art of the characters they designed, and explained how the designs changed from sketch to screen. Clements and Musker also shared some of the live-action reference footage they used in animating the Hydra sequence and an animatic for the song “Shooting Star,” which would eventually be replaced by “Go the Distance.” Finally, Tate Donovan (the voice of Hercules) and Susan Egan (the voice of Megara) joined the panel to discuss their experiences auditioning and voicing their characters. For a finale of mythic proportions, Egan wowed the crowd with a live performance of “I Won’t Say (I’m in Love)” to a standing ovation. How do you become an Imagineer? And, if you’re lucky enough to become one, what makes your journey at one of the world’s most highly respected creative organizations so unique, so gratifying? 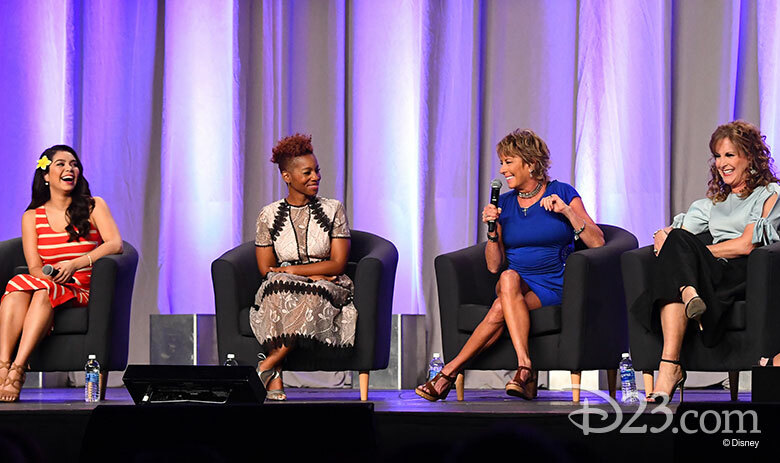 That was the inspiring theme behind Inspiring Women of Imagineering, a Stage 28 panel on Sunday introduced by D23’s Jeffrey Epstein and hosted by Kathy Mangum, senior vice president, Walt Disney Imagineering (WDI). Joining Mangum for this conversation were Andrea Lawler, ride control engineer; Charita Carter, creative producer; Jodi McLaughlin, executive producer; Wendy Anderson, executive creative director, Disney Parks Live Entertainment; Marni Burress, project management executive; Sara Thacher, WDI Research and Development; and Laura Cabo, architectural design studio executive. 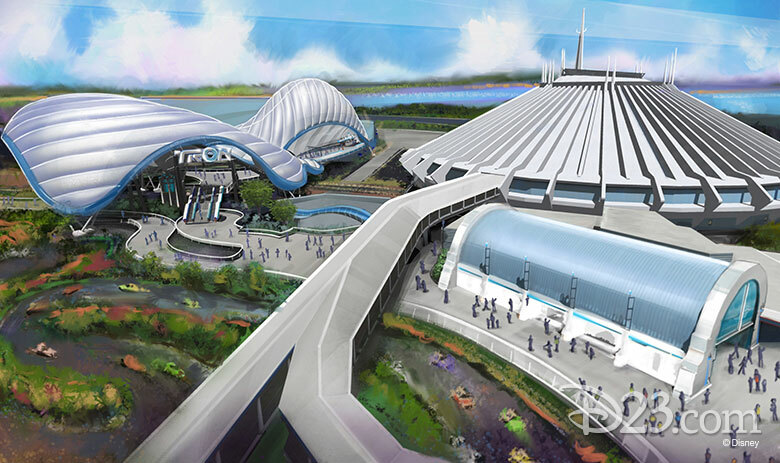 “There is no one answer for how you become an Imagineer,” Mangum said. “We all have our own stories to tell.” That proved to be the case. Carter was working as an accountant at a company across the street from WDI and literally “walked across the street” to join WDI. Andrea, who majored in Screenwriting at USC (and has an optioned script to her credit), interned at WDI in robotic engineering and sought to fuse her math skills with her storytelling side—and now works in ride engineering. The voice cast and creative team behind Tangled: The Series let down their hair this morning at a panel in D23 Expo 2017’s Stage 28 that illustrated why the new animated series is so enchanting. Though newcomers to Tangled, Jeremy Jordan and Eden Espinosa (Varian and Cassandra, respectively) are already fan favorites. Espinosa shared that she grew up in Anaheim and, by extension, Disneyland, where she eventually came to work (and was the singer of the song that accompanied the Magical fireworks show). But she recalled wishing, “I just want to record a voice for Disney.” She’d auditioned for the role of Rapunzel when the film was in production (as well as Frozen), so using her own voice to play a character on the hit series is a “full circle moment” for the actress. This is the initial foray into animation for Jordan, who originated the role of Jack Kelly in Newsies on Broadway. When he first saw an animatic (early animation) of a scene in which he voiced the teen alchemist Varian, he shares, “I was laughing and crying at the same time. 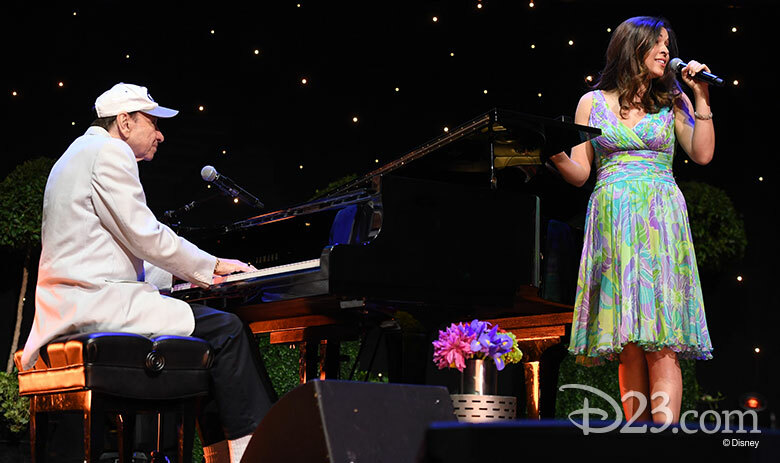 All my Disney dreams were coming true right before my eyes.” Our dreams came true when Sonnenburg gave us a sneak peek of a song we’ll hear on the series later this year—featuring Jordan singing a brand-new song by Disney Legend Alan Menken. Zachary Levi loves the humor he’s able to bring to the role of Eugene. “I’m comic relief—and I love it,” he admitted. He was also excited to encounter a fan in Josh Gad, who told Levi yesterday at D23 Expo that he and his family watch Tangled: The Series together. And Mandy Moore, Rapunzel herself, talked about coming back to the character she’s voiced since 2010. “I felt like we were really a team in making the decision,” she said of co-star Levi. When asked which other Tangled: The Series roles she might like to play, Moore threw it back to the “O.G.s”, sidekicks Maximus and Pascal. Moore isn’t the chameleon’s only adoring fan. D23 Expo guests were treated to a first look an upcoming episode, in which Pascal’s origin story is revealed. Even in the form of an animatic, the sequence had all of the emotion, humor and excitement fans have come to expect from the story of Tangled—just like this morning’s unforgettable panel. Twenty-three years ago, when audiences saw that sun break over the African plains in the very first trailer, they knew they were in for something special. Disney’s classic The Lion King—still the highest grossing hand-drawn animated film of all time—keeps proving it has more and more “Circle of Life” still left in it, including a brand-new live-action film directed by Jon Favreau and a successful opening of the first-ever Mandarin stage production last year in Shanghai. 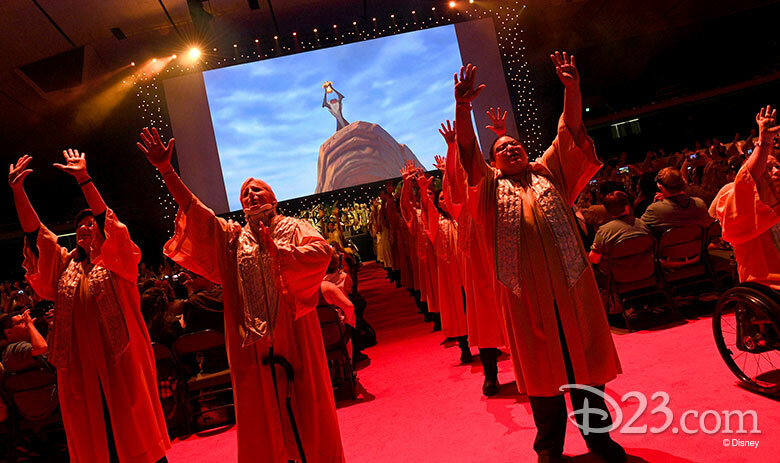 The Lion King producer Don Hahn facilitated a panel Sunday, celebrating the legacy of this Disney gem. Joining him onstage was the creative team behind the film, including Rob Minkoff, co-director; Mark Henn, animator; Tony Bancroft, supervising animator for “Pumba;” Jim Cummings, voice of “Ed;” Ernie Sabella, voice of “Pumbaa;” and a surprise last-minute visit by Whoopi Goldberg, voice of Shenzi. Minkoff told the audience how originally, the studio predicted that The Lion King would be a smaller film, barely cracking $50 million. Surprise, surprise—it doubled that in the first week. “People always want to know what exactly does an animation director do?” he said. He explained that an animation director works with each and every animator—who he described as “actors with pencils”—coaching and supporting them. Hahn told this humorous story: Originally, the characters of Pumba and Timon sang the entire song “Can You Feel The Love Tonight.” At an early test screening in Atlanta, though, after the lights came up, singer-songwriter Elton John, who wrote the music for the film, just winced and asked, “What have you done to my beautiful song?” It was quickly changed. The panel included historic footage of early pitch meetings, recording sessions, and examples of how the actors and creative teams brought to life memorable scenes. And, as a stirring and emotional grand finale, a choir of hundreds of fans showed up at the end to sing “Circle of Life,” led by Carmen Twillie, the singer who performed Elton John’s famous song in 1994 film’s opening scenes. Long live The Lion King! The Lion King is joining the Walt Disney Signature Collection on Digital HD August 15, and Blu-ray August 29! “A Kiss Goodnight,” written by Disney Legend Richard Sherman, debuted in 2015 as the beautifully poignant final song for Disneyland Forever—the fireworks show created to commemorate the Disneyland Resort Diamond Celebration… and now, the song has become a book with artwork created by Richard’s fellow Disney Legend Floyd Norman, and contributions from his wife, artist Adrienne Brown Norman. 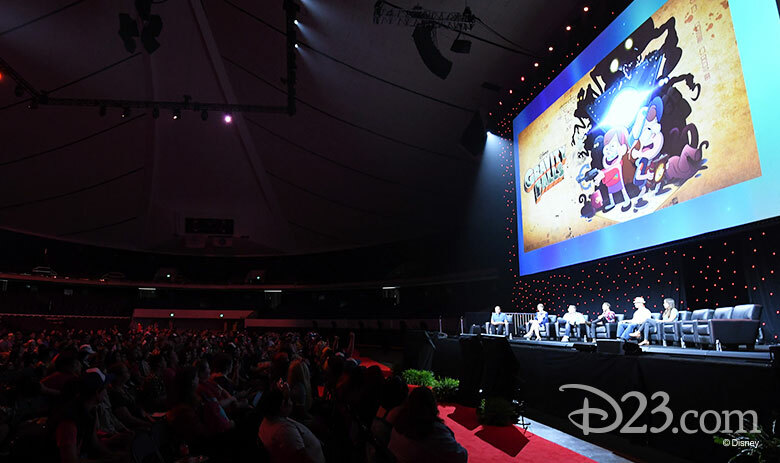 Saturday’s final panel in the D23 Expo Arena celebrated Richard, Floyd, and A Kiss Goodnight’s upcoming publication on August 22. Audiences cheered as Wendy Lefkon, editorial director of Disney Editions, welcomed Richard and Floyd to the stage… who each told amazing anecdotes about their time with Walt, and about the stories Diane Disney Miller (Walt’s late daughter) shared about her father’s upbringing in Marceline, Missouri—which informed much of Floyd’s artwork for the book. Later, Wendy invited Adrienne; A Kiss Goodnight book designer Winnie Ho; Disney Press editor Brittany Rubiano; and music copyist Leslie Smith Buttars (who helped create the actual music notes that appear throughout the tome) to the stage to explain their own contributions to the labor-of-love project. Don Hahn, best known for having produced Beauty and the Beast, the first animated film nominated for a Best Picture Oscar®, previewed his upcoming book, Yesterday’s Tomorrow: Disney’s Magical Mid-Century, to a packed—and riveted—audience on Saturday at the Walt Disney Archives Stage. Hahn showcased pages from the book, which is out November 14, 2017, and drew oohs, ahhs, and plenty of laughs in the course of his spirited overview of the book, which is a paean to mid-century art, design, and pop culture—and reveals their influences on Disney entertainment. “The mid-century era was a crossroads between the old and new,” Hahn said, before beginning an almost-page-by-page look at this colorful, fascinating book. Hahn powerfully showed the impact of Modernism on the work of Disney artists like Mary Blair and Walt Peregoy; explained Walt’s business relationship with renowned Los Angeles architect—and his Holmby Hills neighbor—Welton Becket; reminded the audience of Walt’s sage embrace of television and his fascination with the Space Program; and explained how the world’s first theme park embraced the mid-century ethos—showing rarely seen images of the Monsanto House of the Future, the Disneyland Hotel, and extraordinary poster art developed for Disneyland. 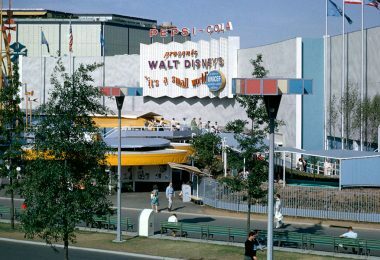 In the early ‘60s, the Disney Studio also went into the commercial business, creating classic mid-century-looking television commercials for companies such as Johnson Wax and Trix cereal. This fascinating, colorful, instructive, and scholarly book is a must-have for anyone who loves this extraordinary era in Disney history. Life is like a hurricane here at D23 Expo! The DuckTales Q&A Panel opened with a super twist: the premiere of the Big Hero 6: The Series theme song! 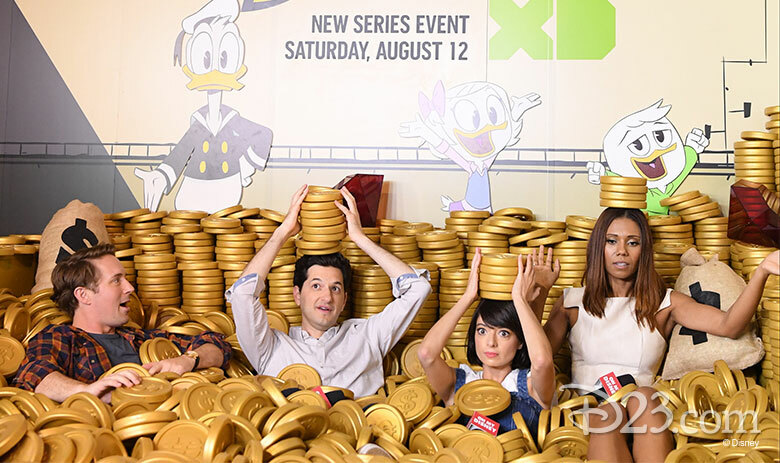 The DuckTales Q&A featured Francisco Angones (co-producer and story editor), Matt Youngberg (executive producer), Sean Jimenez (art director), Beck Bennet (voice, Launchpad McQuack), Kate Micucci (voice, Webigail Vanderquack), Toks Olagundoye (voice, Mrs. Beakley), and Ben Schwartz (voice, Dewey). Guests were also treated to a special video message from David Tennant and a short clip from “Day Trip of Doom,” which will be the show’s series premiere episode in September. Find out more here. 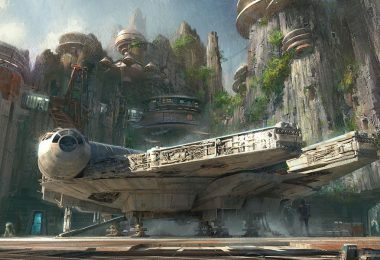 Find out the amazing announcements from Walt Disney Parks and Resorts here. Dory. Sully. Riley. In the Pixar universe, every line, color, strand of hair, and key-stroke contribute toward the story—toward the characters. And no one creates characters like Pixar does. One of the best parts of Saturday’s The Evolution of Pixar’s Characters panel on Stage 28 was seeing all the stages of character development for the Inside Out characters, including Bing Bong, Disgust, Sadness, and Riley, and also the characters in WALL•E. And as a special treat, Daniel Arriaga, character art director, shared his sketches from the upcoming film Coco. Have you ever thought about how long it takes to develop a character? According to Chris Sasaki, character designer, it’s different for each character. “Character designers wear so many hats,” he says. “What’s the story, what’s the mood, what’s their costume? It always come back to the story and the research.” Each designer on the panel admitted to beginning work on each character the old-fashioned way—with pencil on paper. “The blank page is always the scariest,” continued Sasaki. One of John Lasseter’s main emphasis when developing characters is research. For example, WALL•E was created half in imagination and half in reality, according to Jay Shuster, production designer. He said the team actually took a trip to the Jet Propulsion Laboratory to study robotics. Tia Kratter, manager of art and film education, Pixar University, agrees, sharing the story of how she used a hair dryer to blow hair around on stuffed animals so that designers could see how hair moves. And that’s just one of many examples. In this panel, Pixar designers took the lid off the proverbial pot and showed us the “secret sauce,” so to speak. And a tasty stew it is! In addition to Sasak, Kratter, Arriaga, and Shuster, fans also heard from Deanna Marsigliese, character designer; and Peter Docter, director. 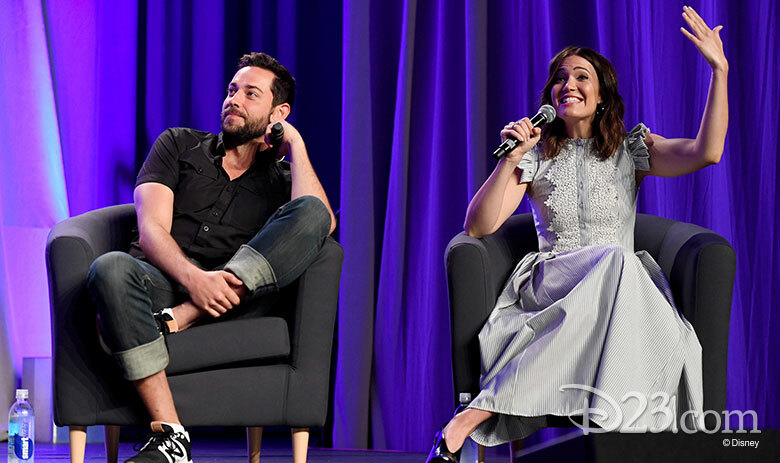 There are some exciting “new beginnings” on the horizon for ABC’s Once Upon a Time… and creators/executive producers Edward Kitsis and Adam Horowitz—as well as actor Colin O’Donoghue (Hook)—took fans on a journey through the show’s past, present, and future at today’s D23 Expo panel. Read more about it here. 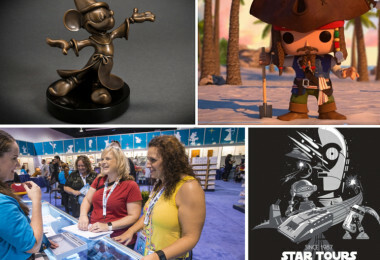 On Saturday at the D23 Expo Arena, fans took their excitement to the next level when Disney Consumer Products and Interactive provided sneak previews of hotly anticipated video games, such as Star Wars Battlefront II, Spider-Man, Lego Marvel Super Heroes 2, and a D23 Expo-exclusive sneak peek at a brand-new Toy Story-themed world for the eagerly awaited Kingdom Hearts 3, coming in 2018. Get more details here. Hollywood’s biggest names in acting and directing… Surprises at every turn… Compelling stories and sneak peeks that had us on the edge of our seats. The Hall D23 presentation from The Walt Disney Studios this morning at D23 Expo featured all of these and more! Find out more here. Walt Disney only lived in Marceline, Missouri, from 1905-1911, but as Kaye Malins, executive director of Marceline’s Walt Disney Hometown Museum, told a packed audience at the Walt Disney Archives Stage on Saturday afternoon, he never forgot this picturesque small town—an American pastoral of gently sloping hills, bending willow trees, and fragrant apple orchards. In a charming walk back in time, Malins told the rapt audience that it was here that Walt attended his first school and first parade, here he sold his first art and got his first job, and here he saw his first live stage production—a performance of Peter Pan. Walt and his family moved to Kansas City in 1911, but he never forgot Marceline. He would return in 1956 for the Midwest premiere of The Great Locomotive Chase at Marceline’s Uptown Theatre, during which time he spent the night at the Malins family home—chosen because it was the only house in town that had air-conditioning. “My perfect life was just about to get even better,” Malins remembers thinking before the visit from Walt. Walt would also return to Marceline in 1960 to dedicate Walt Disney Elementary School. Kim White, director of photography and lighting, also described a long development process. “The most beautiful shots of Inside Out aren’t in the movie,” she said. “They got cut for story reasons. The director tried to reuse them somewhere because he loved the lighting, but he couldn’t. 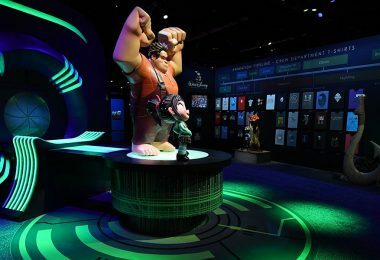 You just have to get used to that.” During the panel, fans were treated to a vibrant gallery of artwork, pre-visual development, mood pieces, and textures that helped shape some of the most beautiful and memorable films in Pixar’s—and Hollywood’s—history. Joining Eggleston and White in the panel were Sharon Calahan, directory of photography and lighting; Harley Jessup, production designer; and Katharine Sarafian, producer. What happens when four Disney princesses hang out together on one stage? The audience watching the Power of the Princess panel found out when Disney Legends Jodi Benson, Paige O’Hara, and Anika Noni Rose and Moana’s Auli’i Cravalho appeared on Stage 28 on Saturday to share their experiences making the movies that brought four famous Disney Princesses to life. Hosted by animators Kira Lehtomaki and Amy Smeed, the panel featured clips of the actresses recording their famous songs, pencil tests of the princesses by animator Mark Henn, and a special viewing of a princess-tastic clip from Ralph Breaks the Internet: Wreck-It Ralph 2, which features all the original living Disney Princess voice actresses reprising their roles. The panel finished with each actress performing a passage from their iconic Disney songs. 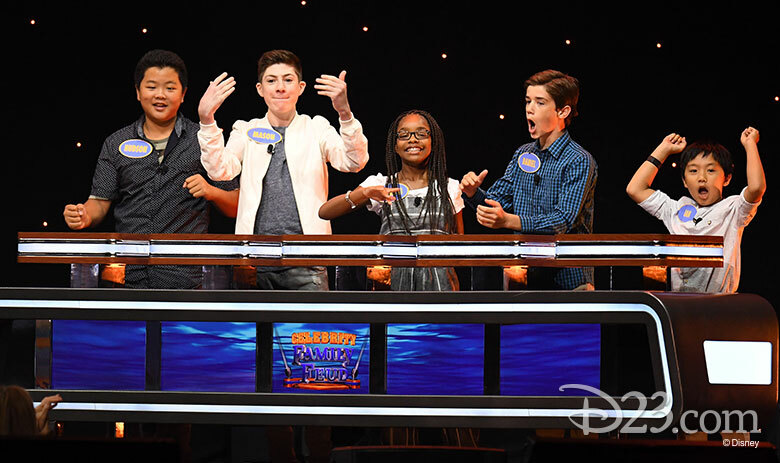 Separated into two teams—Team Fun, captained by Speechless’ Kyla; and Team Games, captained by Fresh Off the Boat’s Hudson—the kids were put to the Feud test with questions like “Name a character you envy because he or she can fly,” “Tell us one thing everyone knows about Star Wars’ Yoda,” and “Name someone from Wonderland that Alice would invite to her birthday party.” As with the primetime Feud, the Expo version relied on the results of an informal survey to come up with top answers to each question. After a super-close game (including an extra “sudden-death” question)—and a great “Fast Money” round with Mason and Hudson—Team Games took the win! Don’t miss Nolan and all the other comedy kids when Modern Family, black-ish, Speechless, Fresh Off the Boat, and American Housewife return to ABC this fall! 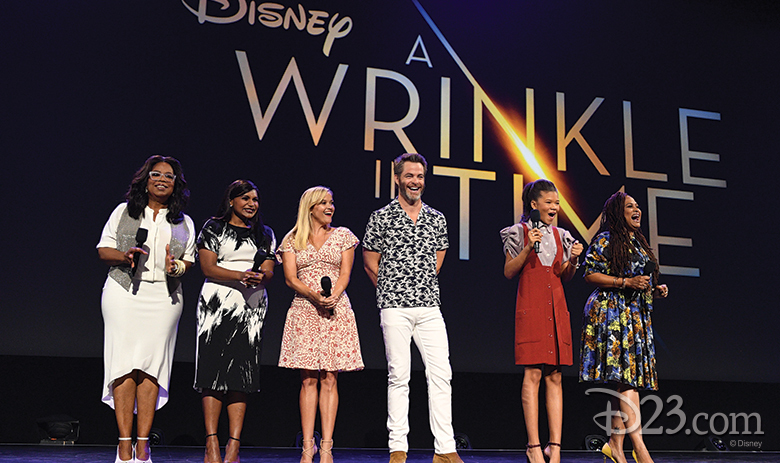 Whoopi Goldberg hosted an enchanting panel on the music of Disney live-action films. Featuring special guests such as Leonard Maltin, Jeffrey Sherman (son of Robert Sherman), Karen Dotrice (Jane Banks in Mary Poppins), and Leslie Ann Warren (Cordy, The Happiest Millionaire), the panel explored the special ways music created magic in films beloved by Disney fans everywhere. A choir and musical accompaniment performed songs from classic films like The Parent Trap, Summer Magic, Mary Poppins, and more. 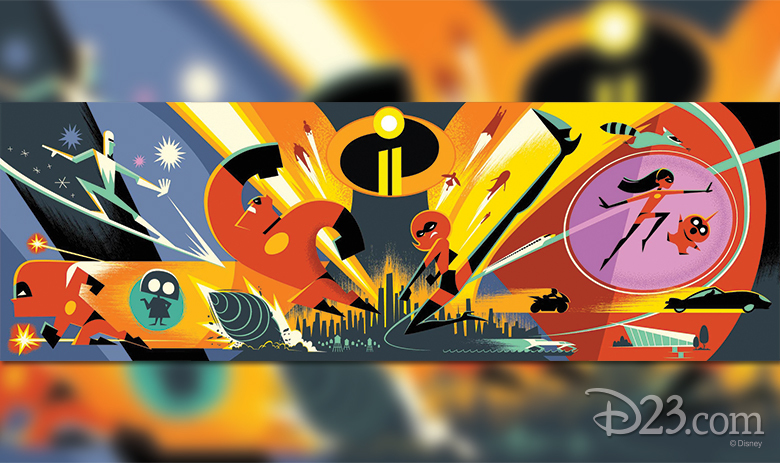 Animation fans were drawn to one of D23 Expo’s biggest panels––Pixar and Walt Disney Animation Studios: The Upcoming Films, Hosted by John Lasseter. Guests got a sneak peek at Coco, Ralph Breaks the Internet: Wreck-it Ralph 2, and films we hadn’t even heard of before the panel! Read more about the eight films we can’t wait to see from Disney and Pixar Animation Studios here. 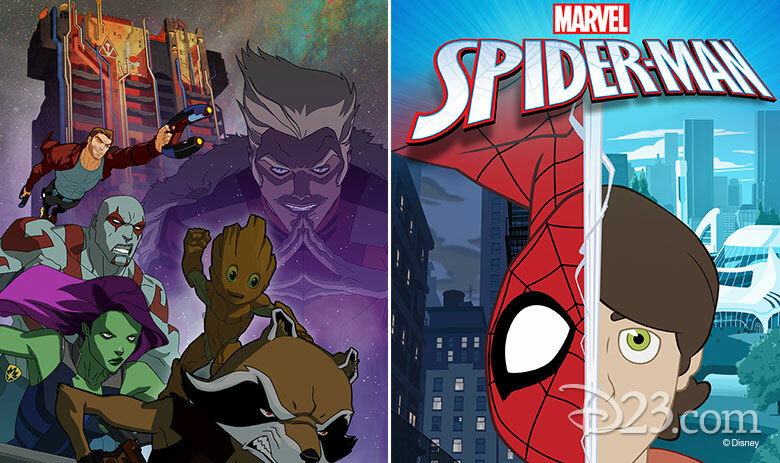 Plenty of high-octane news spilled out of the Marvel Television Animation Panel today at D23 Expo 2017! First, we found out that the highly anticipated new animated series Marvel’s Spider-Man will debut with a one-hour premiere on Saturday, August 19 (7-8 a.m. EDT), on Disney XD and on the Disney XD App and VOD. During the panel, we learned about Marvel’s Spider-Man voice cast, season three of Marvel’s Guardians of the Galaxy: Mission Breakout, and an all-new animated special from The LEGO Group and Marvel. Doling out the good news was Cort Lane, Marvel senior vice president, Animation & Family Entertainment, and Joe Quesada, Marvel’s chief creative officer. Film historian Leonard Maltin hosted a celebration of the 30th anniversary of the Disney Legends Awards ceremony today with a lively, revealing—and often hilarious—panel discussion with a selection of Disney Legends. Joining Maltin on stage were Kathryn Beaumont (the voice of Alice and Wendy); renowned animator Andreas Deja; Karen Dotrice (Jane Banks in Mary Poppins); Bill Farmer (voice of Goofy and Pluto); Imagineer Bob Gurr; Walt Disney Archives Founder Dave Smith; and Mark Hamill, who was one of 11 luminaries named Disney Legends today. They’ve stitched, sewn, and hot-glued for months… and now, they’re ready to show their creations to the world! 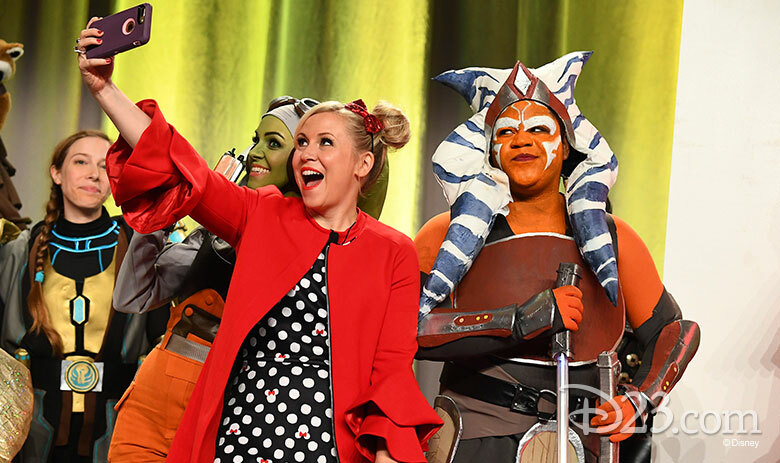 We challenged D23 fans to create their very own Disney-inspired costumes and showcase them at this year’s Mousequerade competition, and the results did not disappoint. See the “best of the best” here. Slice up that cheesecake and pull up a lanai chair… it’s time to celebrate Dorothy, Blanche, Rose, and Sophia! This afternoon, Stage 28 was packed with friendly faces—much like Miami’s Rusty Anchor Bar on a Saturday night—as “The Golden Girls: A Celebration Laughter, Friendship and Cheesecake” honored the quintessential, long-running Touchstone Television series. Writers Barry Fanaro and Stan Zimmerman; producer/director (who helmed more than 100 The Golden Girls episodes) Terry Hughes; production designers John Shaffner and Michael Hynes; and The Golden Girls super-fan/author Jim Colucci (Golden Girls Forever) joined Imagineer Morgan Richardson for a free-wheeling discussion of the show’s lasting impact. The panel discussed everything from the ladies’ memorable Royal Command Performance for England’s Queen Mother and the impact that particular episodes had on both the staff and the actresses, to the iconic wallpaper in Blanche’s bedroom (direct from the Beverly Hills Hotel!) and everything in between… fans came away with a funnier, more intimate appreciation for the ladies. 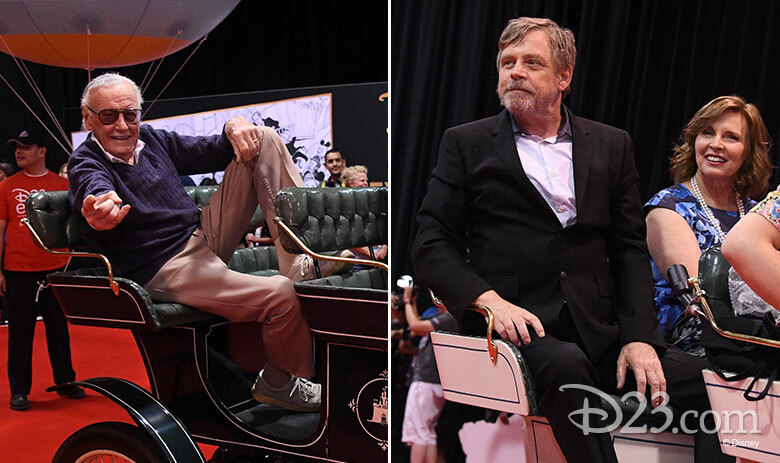 The first-ever Ultimate Fan Street Party at D23 Expo was led by brand-new Disney Legends Mark Hamill and Stan Lee. 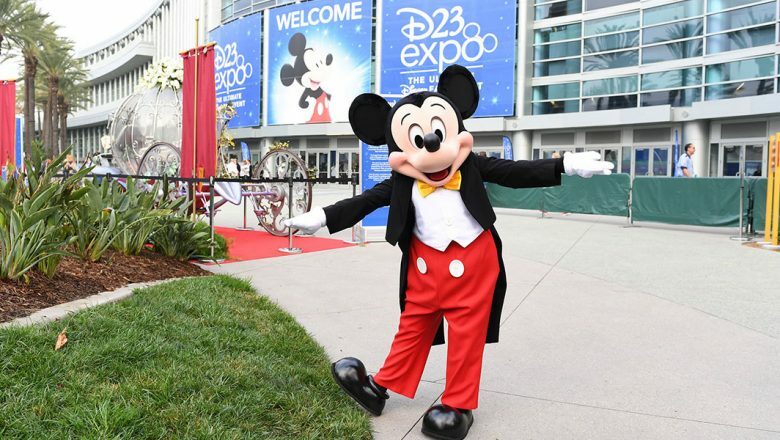 Fans joined in the fun, clapping and dancing along as a procession of balloons, musicians, and celebrants joined Hamill and Lee across the D23 Expo show floor. As any fan knows, Hamill gained famed as the now-iconic Luke Skywalker in the Star Wars films, and Lee helped create the many Marvel Super Heroes we know and love. 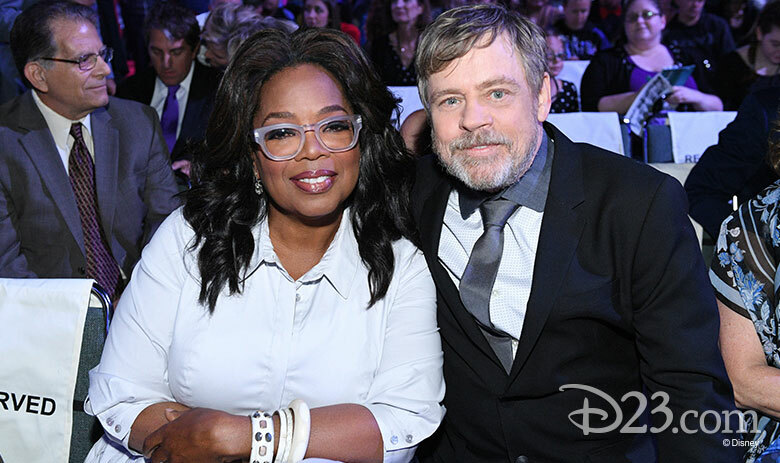 The ultimate Disney fan event kicked off this morning with a spectacular D23 Expo tradition: the Disney Legends Awards Ceremony, where Bob Iger honored 11 talented individuals for their extraordinary contributions to the Disney legacy: Carrie Fisher, Clyde Geronimi, Whoopi Goldberg, Manuel Gonzales, Mark Hamill, Wayne Jackson, Jack Kirby, Stan Lee, Garry Marshall Oprah Winfrey, and Julie Taymor. Get all the details here! Beloved cartoon shows have a special magic that makes them jump off the screen and into the realities of the fans, or, in the case of Gravity Falls and Star vs. The Forces of Evil, the wacky adventures of the beloved characters have jumped off the screen and into the pages of books released by Disney Press. Featuring a panel of Alex Hirsch (creator, Gravity Falls), Daron Nefcy (creator, Star vs. The Forces of Evil), and writers, editors, and illustrators of the shows’ amazing books, the panel celebrated the recent release of Gravity Falls: Journal Three and Star vs. the Forces of Evil Star and Marco’s Guide to Mastering Every Dimension. Additionally, the creators announced not one, but two new books: Gravity Falls the Graphic Novel and Star’s Magic Book of Spells. The panel guests were also treated to a special screening of a clip from Star vs. The Forces of Evil: The Battle for Mewni, featuring the first time Queen Moon met the villainous Toffee.